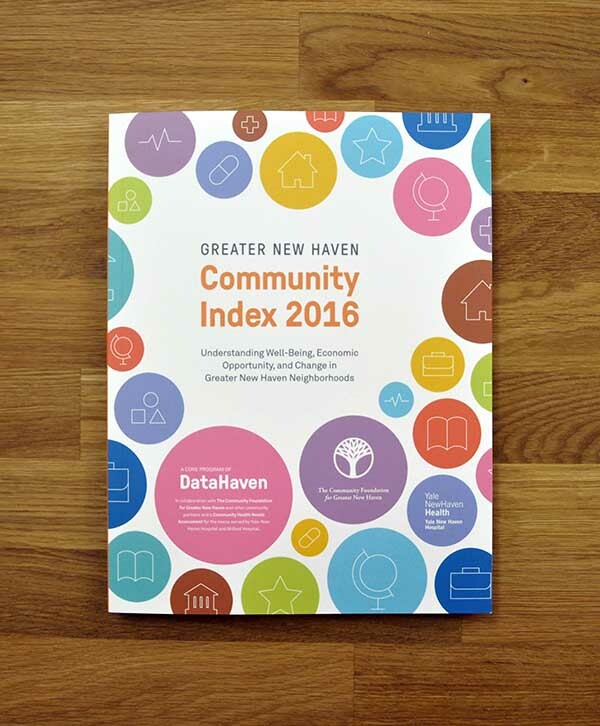 The Greater New Haven Community Index 2016 is a complete update of DataHaven's popular 2013 report. Published in October 2016, the report is approximately 80 pages in length and contains over 50 infographics and tables related to well-being in the Greater New Haven area. The report uses a combination of local, state, and federal data sources including new data analysis conducted by DataHaven and partners for the first time. 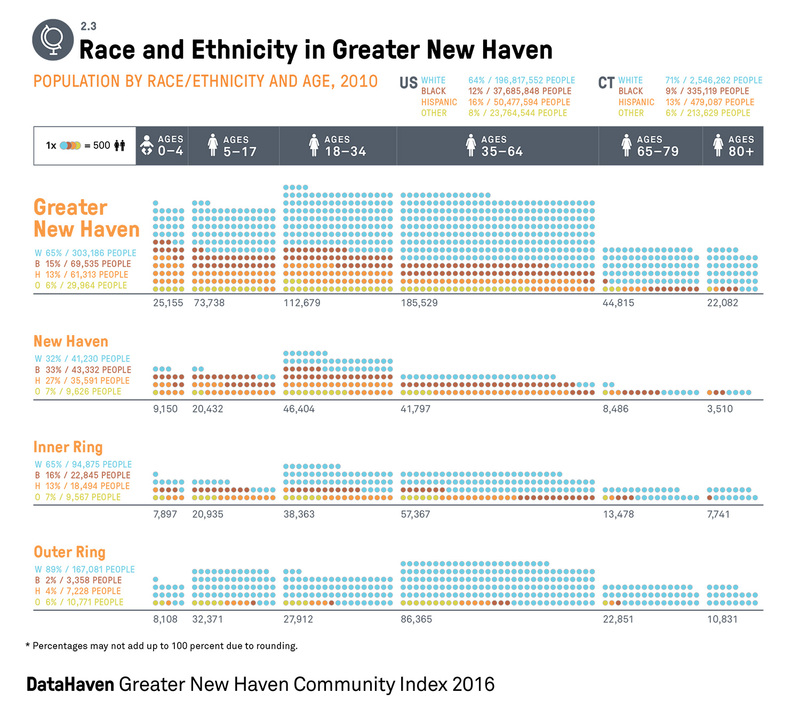 It makes use of results from the 2015 DataHaven Community Wellbeing Survey, which conducted live, in-depth interviews with over 1,800 randomly-selected adults in the Greater New Haven region, including 800 in New Haven, in 2015. To download the full 2016 report, please click here or click on the "Download Full Report" button at the top of this page. 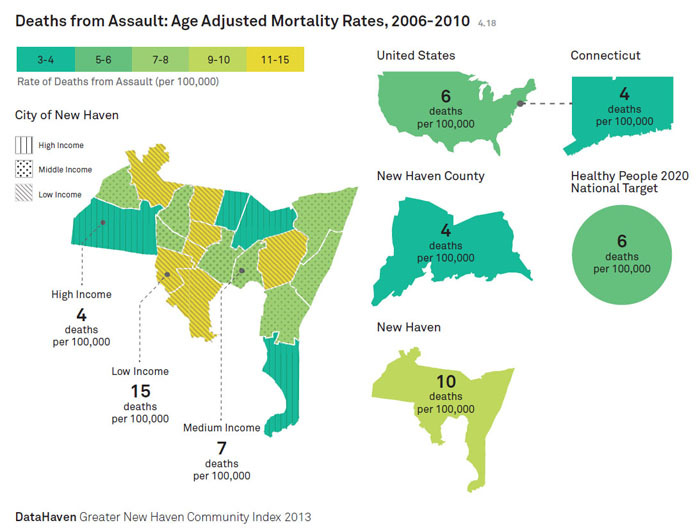 An interactive Connecticut data mapper, with additional information on towns and zip codes that correspond to this report, is embedded within our dashboard page. 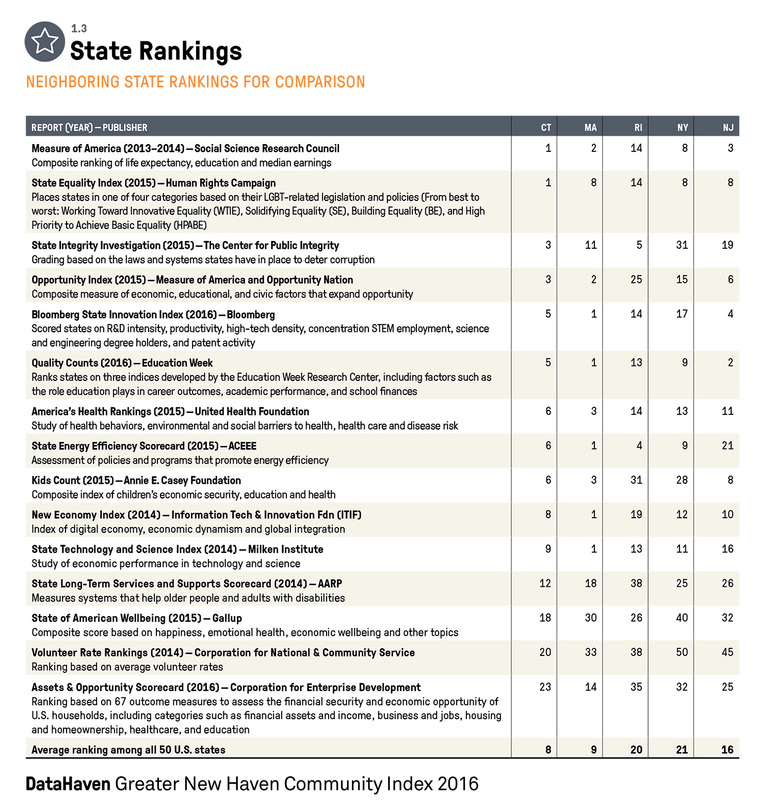 The DataHaven Community Wellbeing Survey is being repeated again in 2018, and products including an updated and expanded Greater New Haven Community Index report are currently being planned for 2018 and 2019. Please contact DataHaven for details. In October 2013, DataHaven's 86-page report (click here to download PDF) illustrated the opportunities and challenges that face the metropolitan area where Greater New Haven residents live, work, and play. The Health chapter of this report is a comprehensive assessment benefiting from a local collaborative approach led by the Partnership for a Healthier Greater New Haven — a coalition of public health, health care, government, and civic leaders, including Yale-New Haven Hospital. With input from the Partnership for a Healthier New Haven and others, DataHaven and the Community Alliance for Research and Engagement (CARE) at Yale School of Public Health formed a scientific partnership to develop and simultaneously conduct the DataHaven Community Wellbeing Survey and CARE New Haven Health Survey, which collectively represent the largest and most comprehensive surveys ever conducted in our region.